So here is my brilliant idea: The kids learn about a new biome by solving a mystery that takes place in that biome! We started with the Desert because we were already talking about it, and now we are looking at the tropical rainforest! This particular mystery is pretty straightforward, but it does require solving a simple code to be sure of the guilty person! 1- Print all the supplies. 2- Place the SOLUTION in an envelope. Give it to your kiddos after they make their own conclusion. 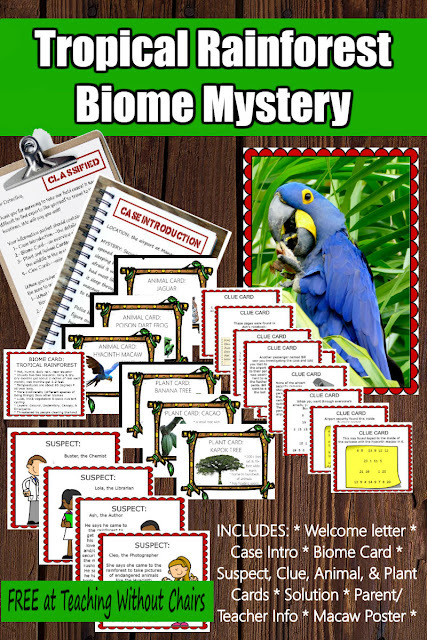 3- Give your children the letter on a clipboard, Case Introduction, Biome Card, Plant Cards, Animal Cards, Suspects Card, and Clue Cards all at once. When they give you their conclusion, give them the SOLUTION envelope! a- What adaptations do you see in the animals or plants you encountered? How do those adaptations help in the tropical rainforest? b- Which plants and/or animals did you already know about? Which were new to you? c- How is the tropical rainforest similar/different to where you live? 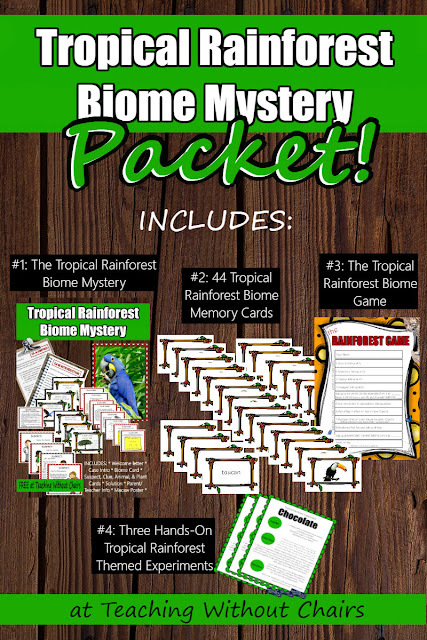 5- If you purchase the Tropical Rainforest Mystery Packet below, follow up with the tropical rainforest science experiments, a game of Memory, and a round of the Tropical Rainforest Game. Each activity introduces and reinforces different aspects of the tropical rainforest biome. Be sure to discuss what you are learning! 6- Extend the theme by researching different tropical rainforests around the world! Most of this unit study focused on the Amazon tropical rainforest...what does it have in common with other tropical rainforests around the world? 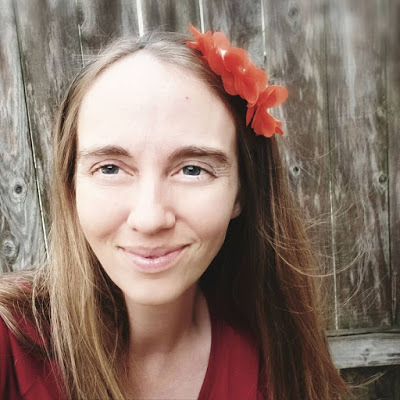 What is unique? What animals live uniquely in each rainforest? What plants? What do you notice about the latitudes that tropical rainforests occur at? Why do you think that is? 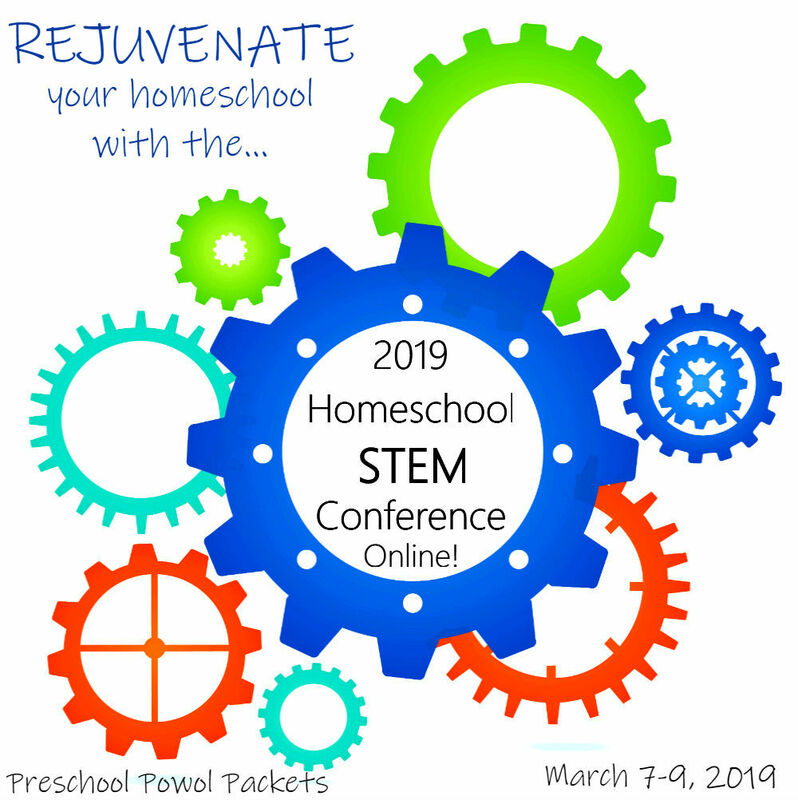 Choose one aspect to study in more depth and create a biome project by putting together a presentation of some kind (diorama, poster board, PPT, travel brochure, infomercial, etc)! GET THE FREE TROPICAL RAINFOREST BIOME MYSTERY BY CLICKING HERE! 4- Three Hands-on Experiments to learn more tropical rainforest plants and animals! USE THE BUY NOW BUTTON BELOW TO GET THE DESERT MYSTERY BIOME PACKAGE! 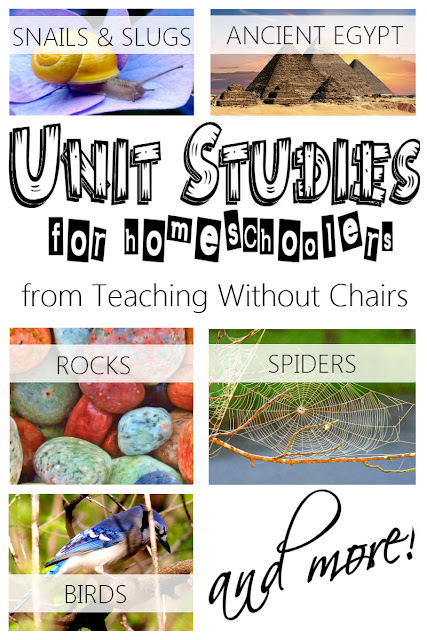 HINT: Use the code "WeekSpecial" to get a special discount just for my blog readers!